Kyle Wiens is the co-founder of iFixit, an inspiring global community that helps people repair the things they own. Over the last 15 years, iFixit has amassed an amazing resource library featuring over 37,000 free repair manuals for more than 10,000 different devices. Such resources don&apos;t just help us fix things; they empower us to reconsider our relationship with them. And encourage us to move towards a more circular economy. Check out their cool manifesto, which explains why the right to repair is so important for us and our planet. The idea for iFixit started in Kyle&apos;s college dorm room in 2003. When he dropped and broke his laptop, he knew that he&apos;d be able to fix it. But after searching online, he realised that the information on how to open the laptop wasn&apos;t available, something that goes against the &apos;if you can&apos;t fix it, you don&apos;t own it&apos; principle. Kyle and his then-room-mate-now-business-partner, Luke Soules, took photos and documented how they fixed the laptop to help others in a similar situation. The post had 10,000 hits in the first weekend. It turns out; many people were just as frustrated as he was with manufacturers making repair information so difficult to access. Turning the demand for repair information into a successful business took time and tinkering. They tried to write and sell the repair manual online, but demand for that was low. Eventually, iFixit was born, a community website; with an open-source, Wikipedia-like philosophy. Anyone can upload a guide or manual, which can be improved by other members of the community. Every month, over 3 million people use iFixit’s resources. And each repair is one less item gone to landfill. It&apos;s not just electrical repairs either, iFixit covers everything from changing the oil in your car to repairing your umbrella. As Kyle says: "There are two major economic impacts we have: empowering consumers to make their products last longer and empowering the same consumers to make better purchase decisions around products. People tell us that once they have successfully repaired a product, they’re more likely to buy something from the same manufacturer." "In order to have a repair economy work, the person doing the repair—whether it is the consumer or repair technician—needs three things. They need the knowledge of how to do the repair, they need the tools to get in and open the product up, and then they need replacement parts. iFixit provides all three of those. So if you break your iPhone and need to repair it, we provide you with a replacement screen; it comes in a kit with the tools you need, and then the instructions are free on the web or in an app. We make it really easy to go through and do the repair." On top of providing the tools and resources, iFixit has also trained over 15,000 independent repair technicians. With repair more readily available, fixing an item becomes an easier and more attractive option for consumers. Kyle is a fantastic example of the growing the repair movement on two important levels. On the one hand, he helps empower individuals to do their bit. On the other, he’s an activist in fighting for systemic change in the digital millennial copyright act, the law that allows companies to restrict people&apos;s ability to repair. In a case with John Deere, for example, iFixit helped farmers win the right to tinker with their tractors without the fear of being sued. They have also worked with the Electronic Frontier Foundation to win similar rights for electronic devices. 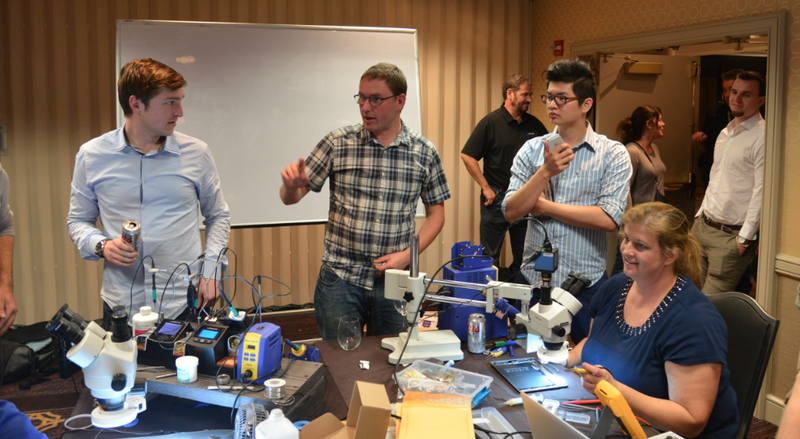 And if that wasn’t enough, iFixit has been instrumental in rallying community support and supplying data in the &apos;right-to-repair&apos; law hearings that are taking place in 18 states across the US.